Sick of the Stock Market? 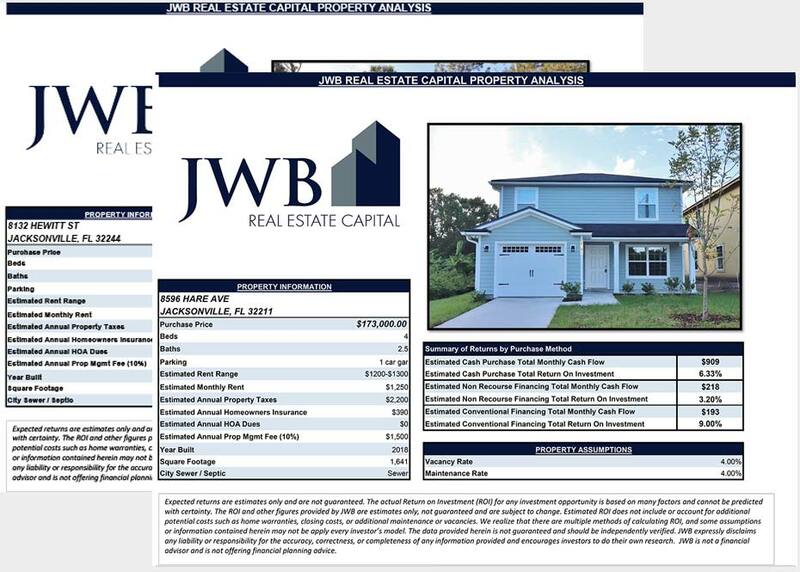 Earn consistent income and long term growth with a rental property portfolio built for you by JWB. Over 550 clients from 43 states and 13 countries trust our experienced team to manage their real estate investments. We create a proven, long term investment strategy to reach your retirement and passive income goals. We manage the entire process including property selection, renovation and property management. JWB is dedicated to building and maintaining long-term relationships with their investors. We are glad to be part of the team.